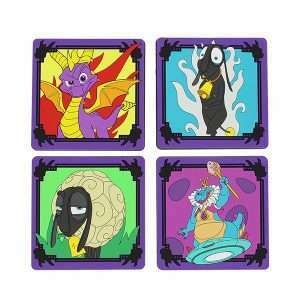 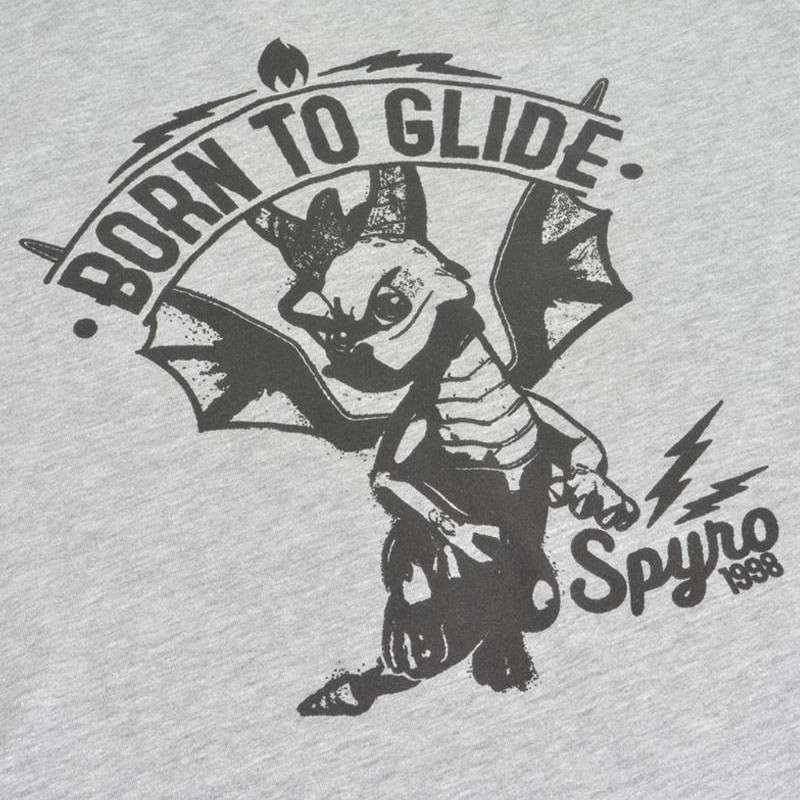 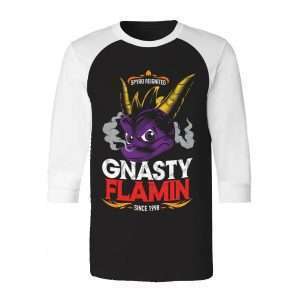 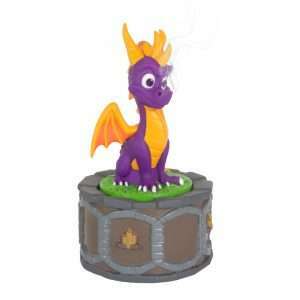 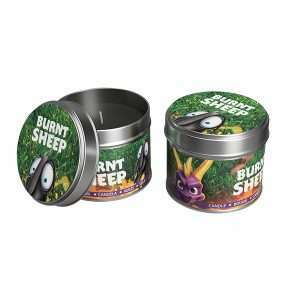 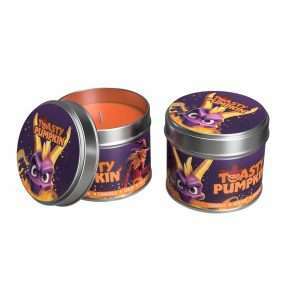 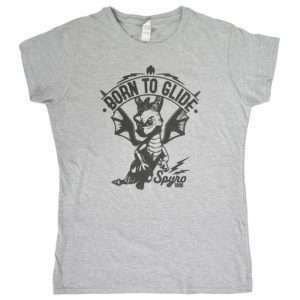 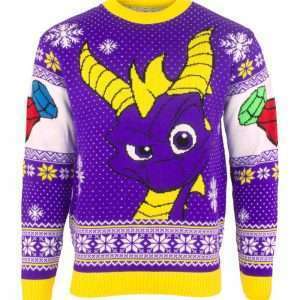 Official Spyro the Dragon product. 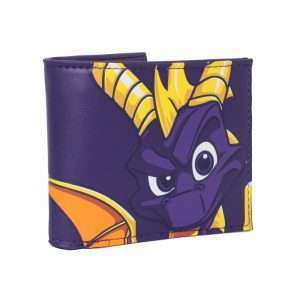 Silver metal face with purple details and a Spyro silhouette graphic. 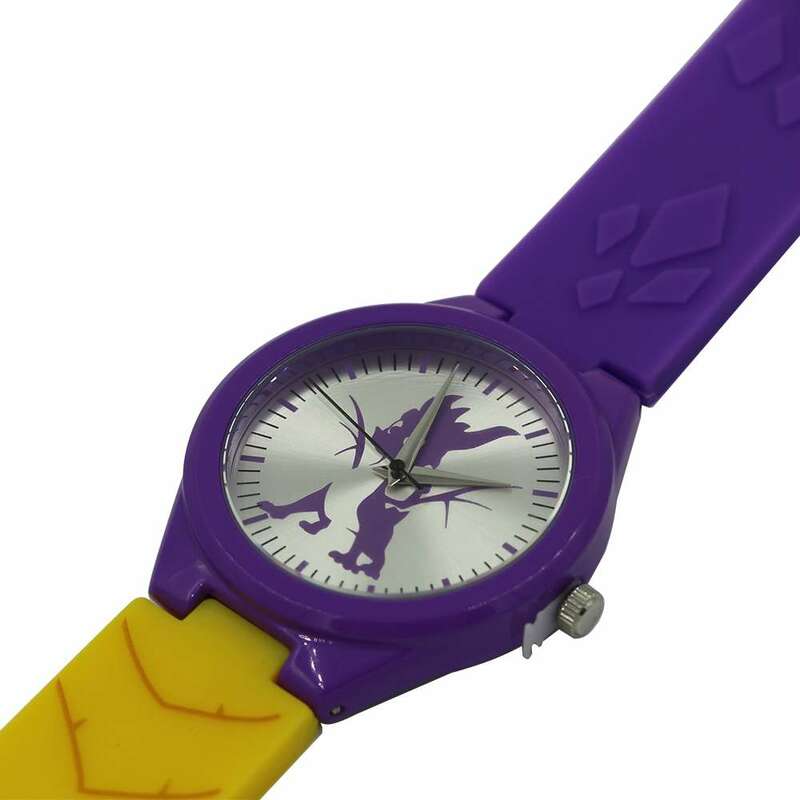 Silicon moulded straps based on Spyro’s body. 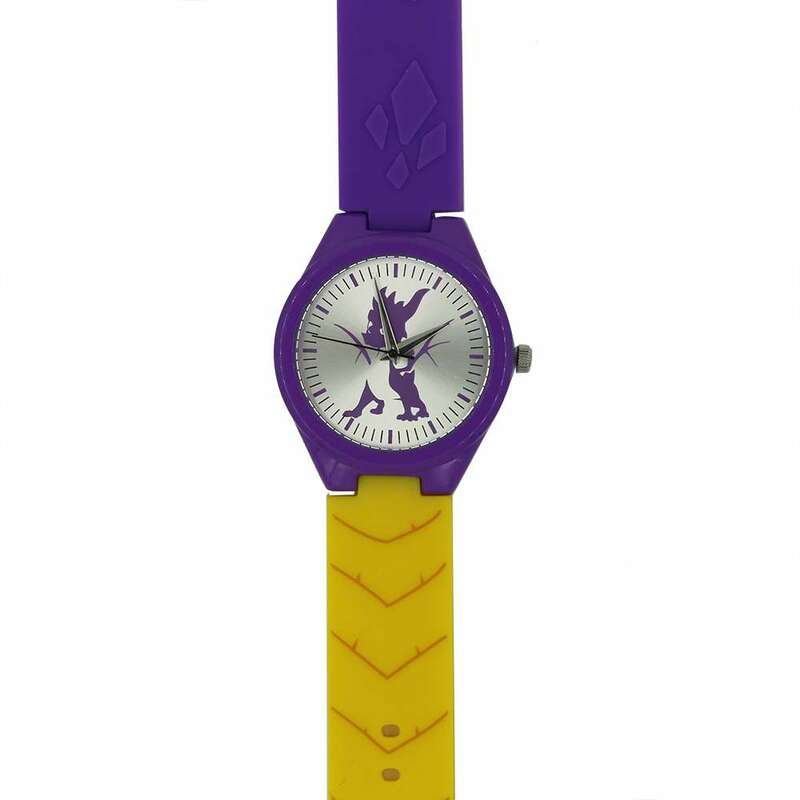 Easy to set the time. 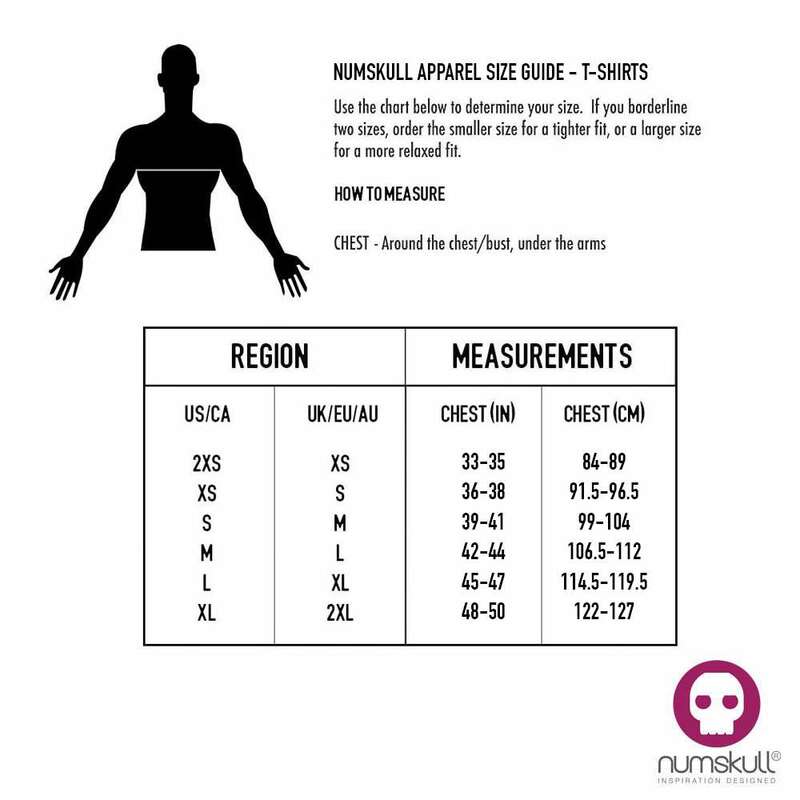 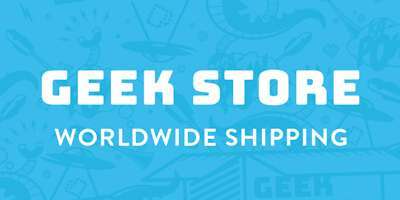 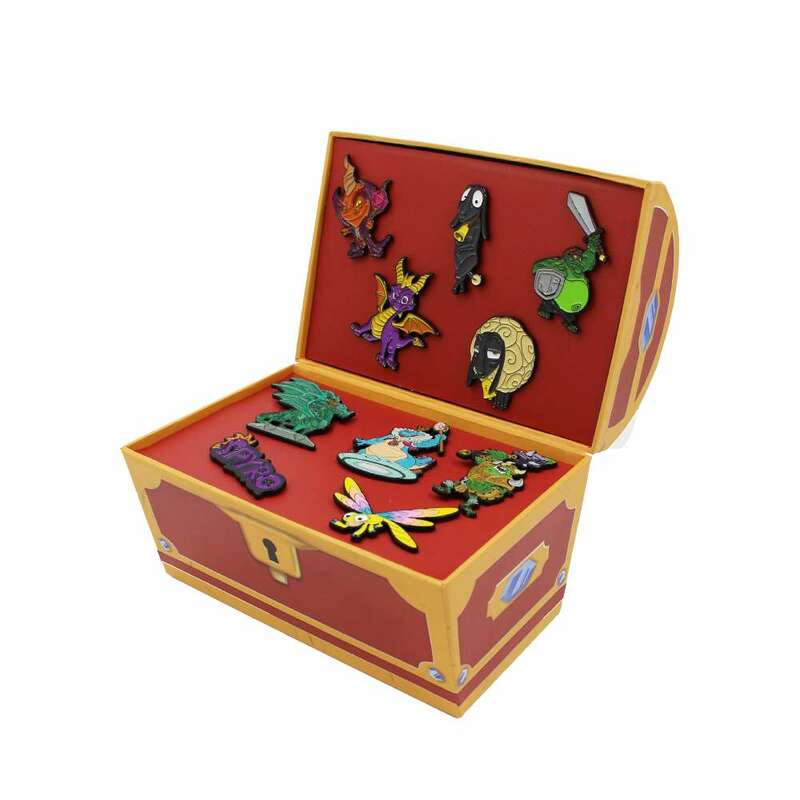 High quality and highly collectible! 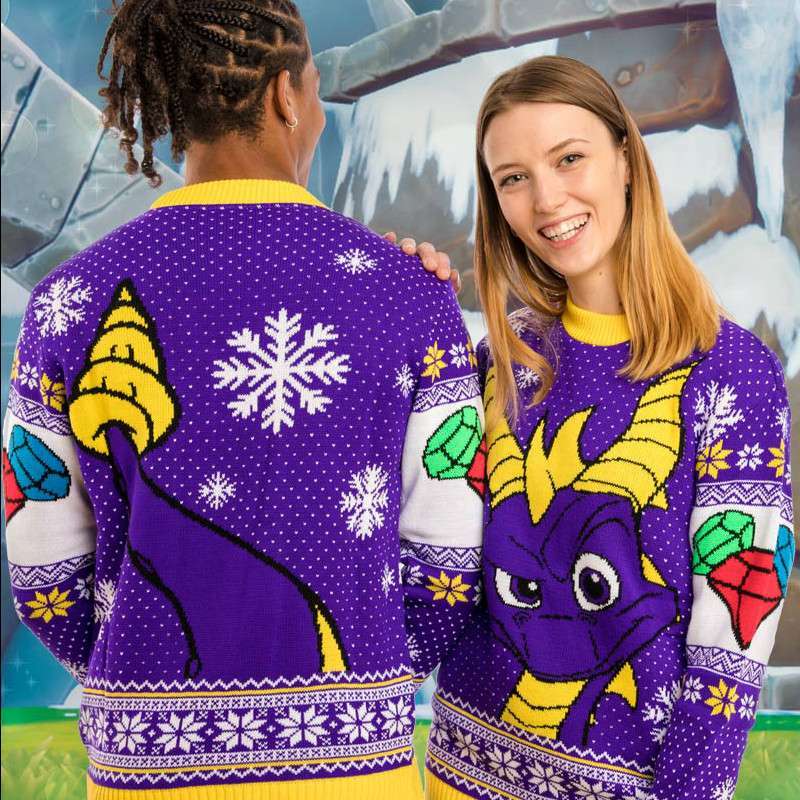 It’s time to save the Dragon Kingdoms, fellow Spyro fans! 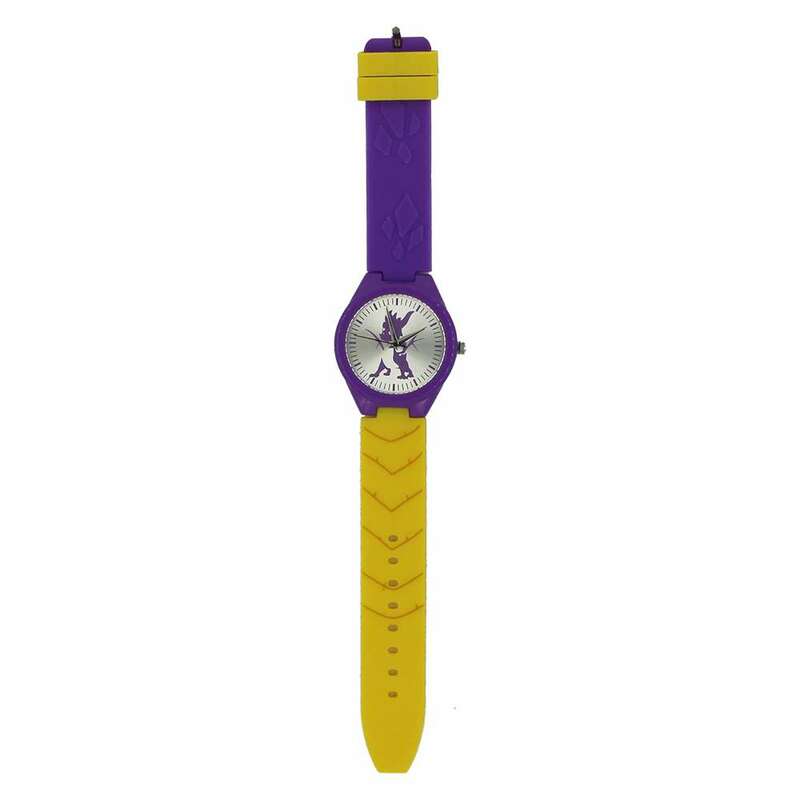 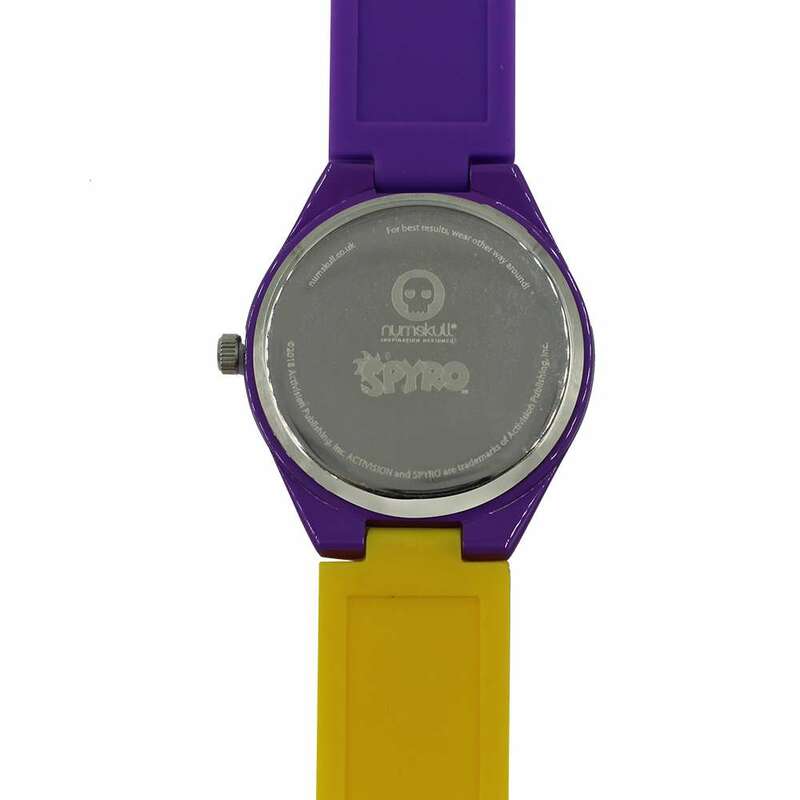 Never lose track of the time again with our official Spyro the Dragon watch. 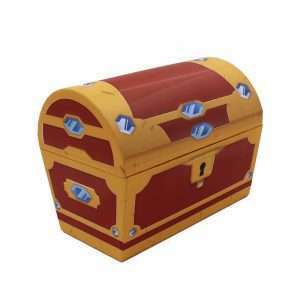 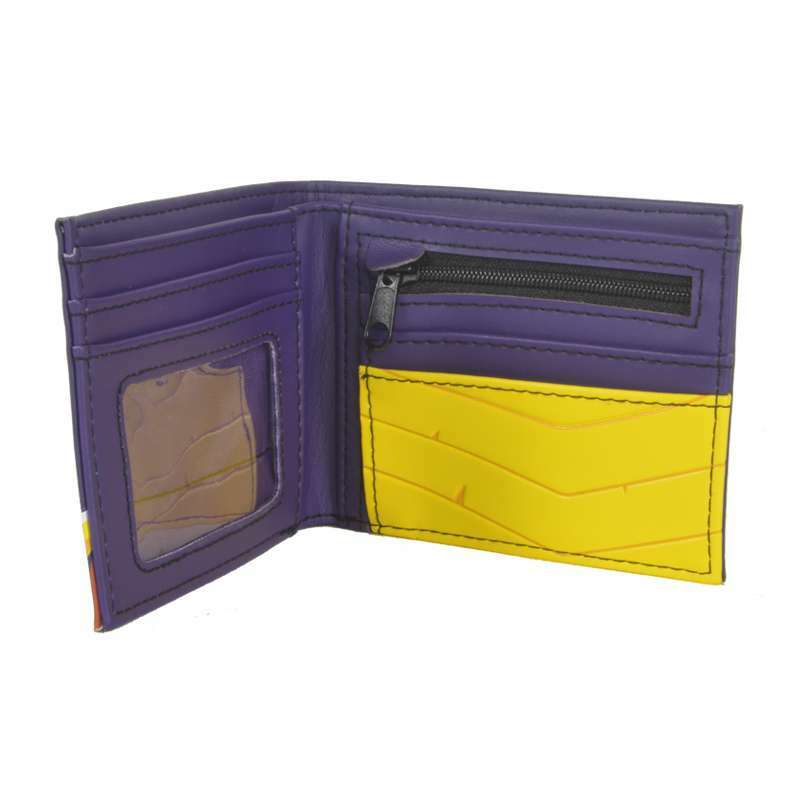 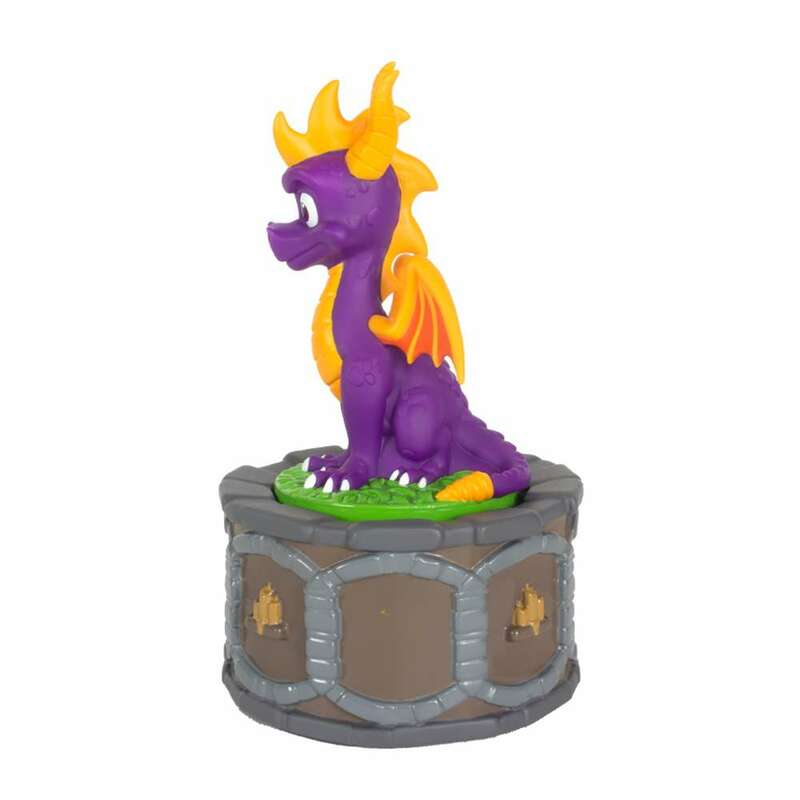 Made of high quality materials and unmistakably based on the iconic design of Spyro, this is both a unique collectible for fans and a genuinely useful accessory for everyday use!